We are a full service real estate company located in the Calabasas, CA area – with expertise to manage and lease both commercial and residential properties. We consider the placement of quality personnel for on-site management to be top priority. We work with all tenant associations as well as local and state organizations to maintain professionalism and achieve results. We believe the best contracts are the ones negotiated at the lowest prices to benefit property owners. These contracts include insurance, laundry services and maintenance projects. We practice preventive maintenance because it keeps properties in top notch condition at the lowest possible cost to the owners. In addition, our accounting department provides accurate and simple to read owner's statement consistently and in a timely fashion each month. Locate and place a vetted onsite manager for your property. 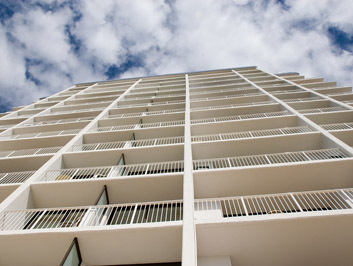 Mediate solutions for high profile tenant/ resident v landlord issues. Provide one time consultation and resolution for problematic issues. We encourage you to contact us today for a list of satisfied Calabasas property management clients for whom we currently provide expert property management services.